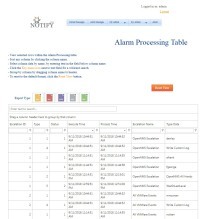 Notify.com provides enhanced system analysis of the underlying database structure. 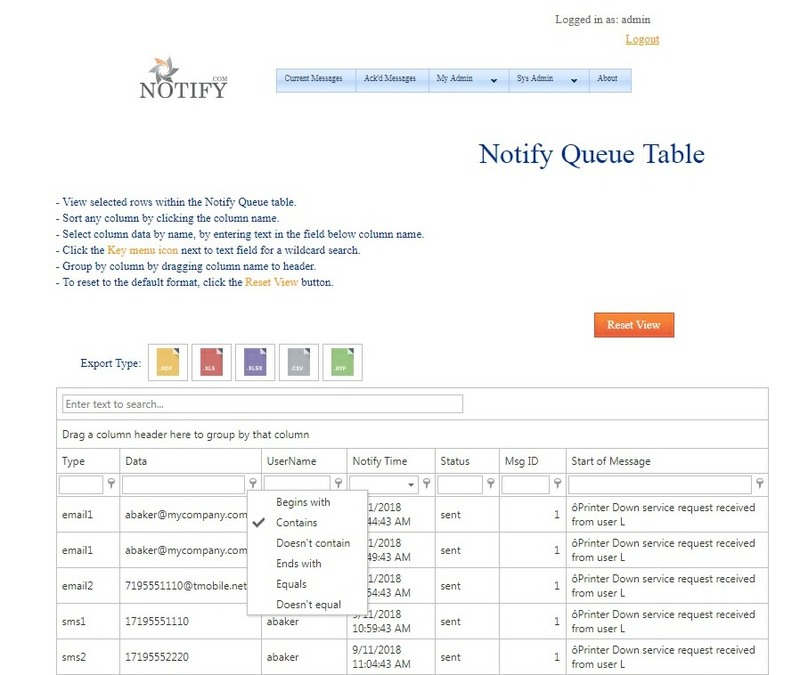 Sophisticated Data Mining Grids provide Notify.com administrators with the ability to search, sort and categorize virtually any aspect of system operation. 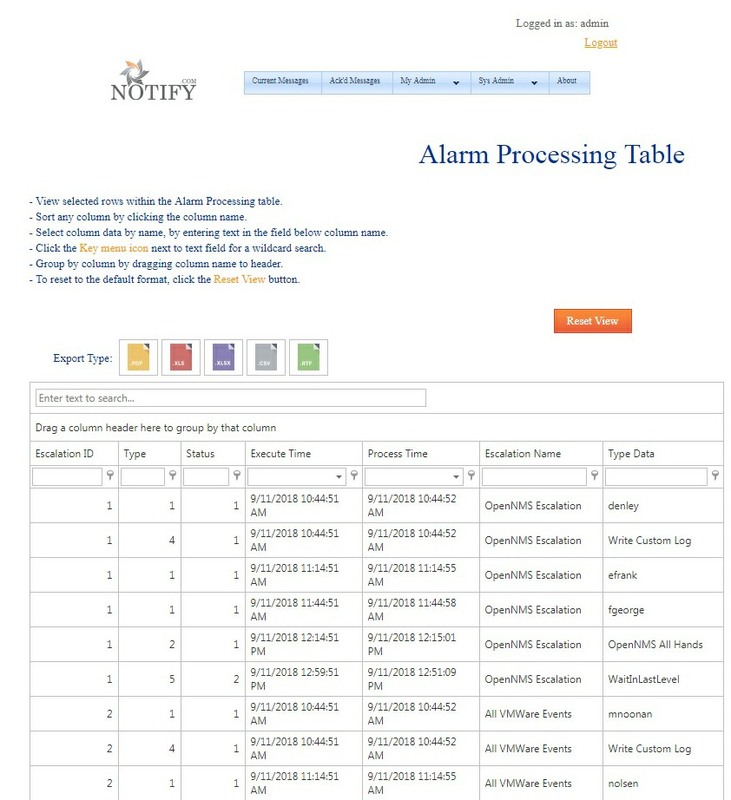 Notify.com System Reports , and the System Dashboard , provide the tools necessary to examine system operation. However, in cases where you want to dig a bit deeper, the Data Mining Grids are the solution. Note: All Data Mining Grid results may be exported to the data format of your choice , for archive purposes, or to use as input to other tools. 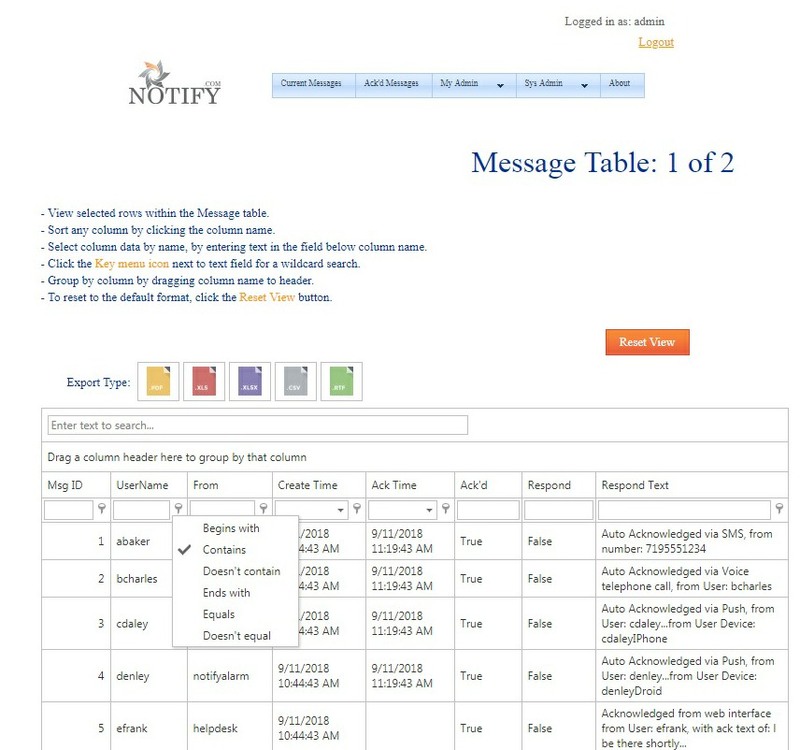 Scenario: Your company utilizes a combination of a Cloud-based SMS provider, and the T Mobile Email Gateway, to send out SMS text messages. 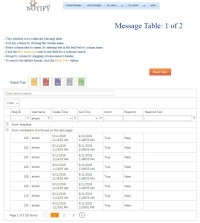 Determine how many SMS text messages have been sent out, using the T Mobile Email Gateway. Set the Search relational setting, on the Data column, to Contains . Enter the search text of @tmobile.net at the top of the Data column. 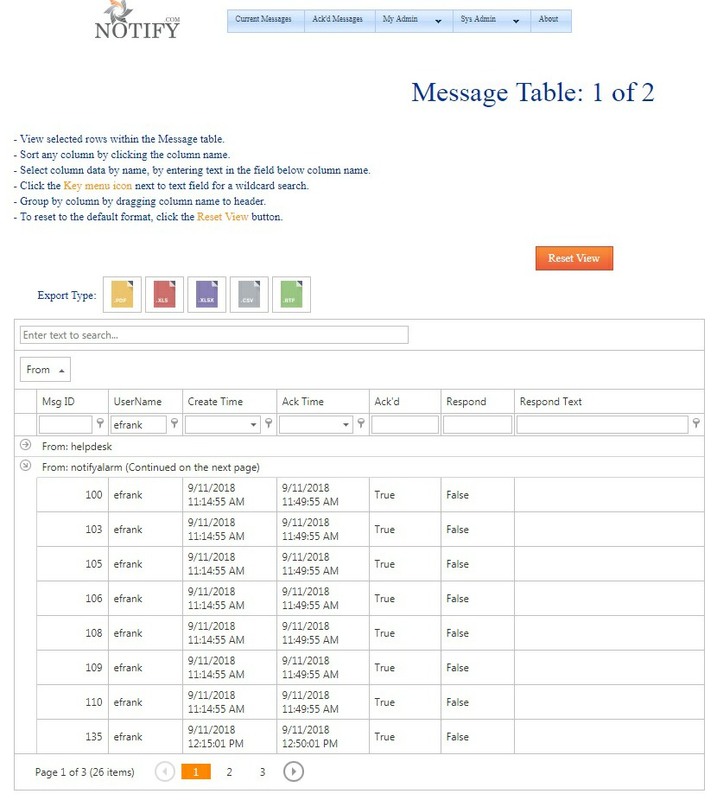 A total of 215 SMS notifications were sent using the T Mobile Email Gateway. 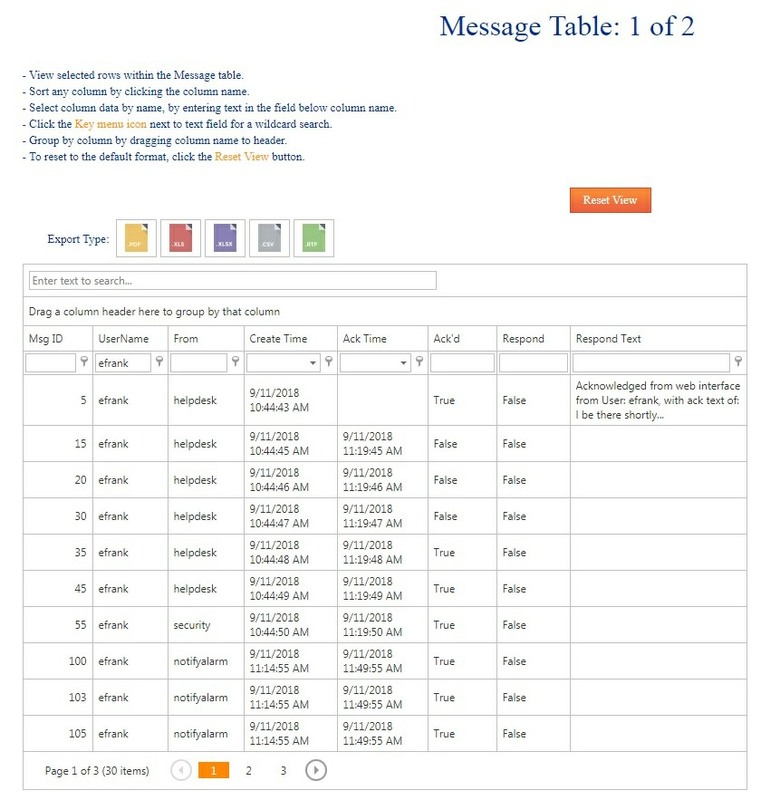 Scenario: Determine the total number of messages sent to Username efrank. 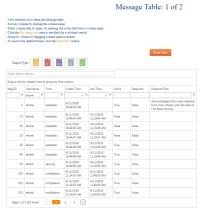 In addition, categorize all of efrank's messages, based on Message Source. 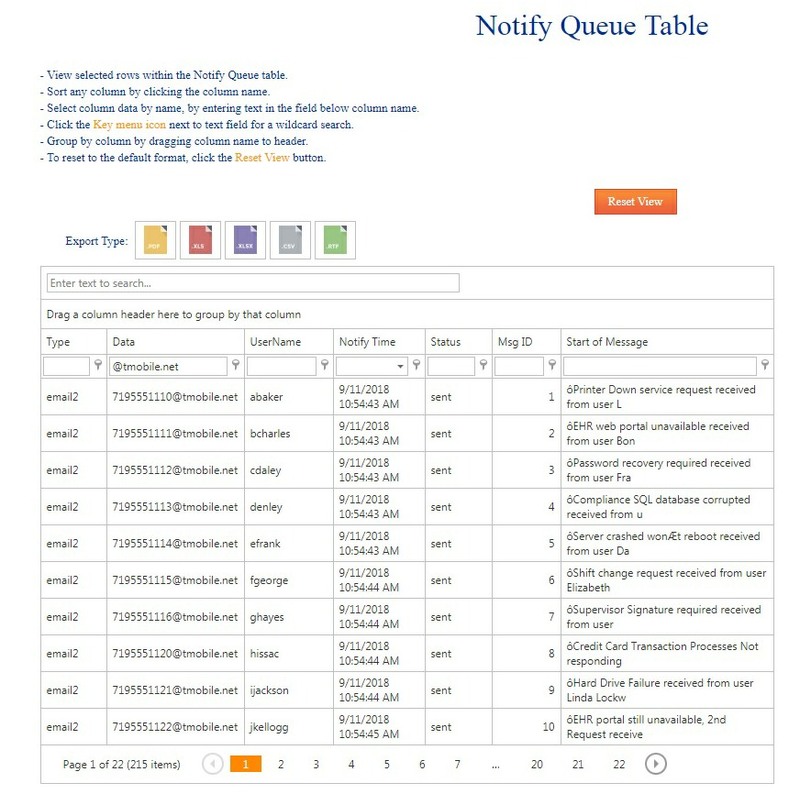 Set the Search relational setting, on the UserName column, to Contains . 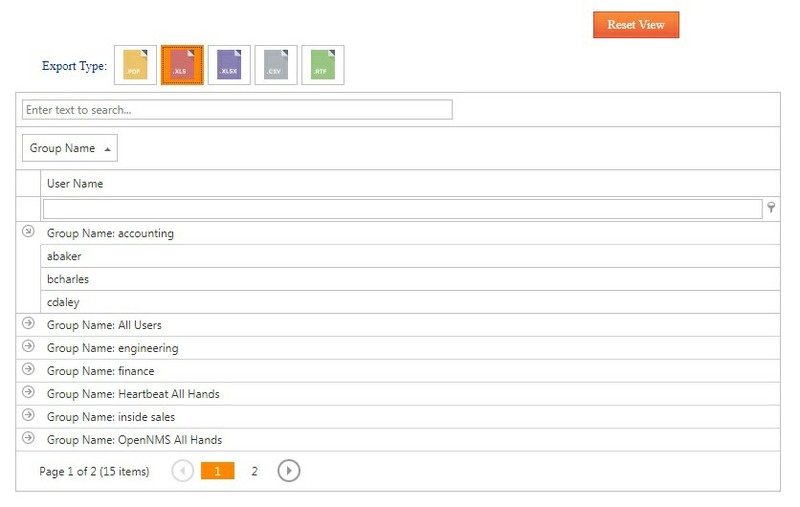 Enter the search text of efrank at the top of the UserName column. 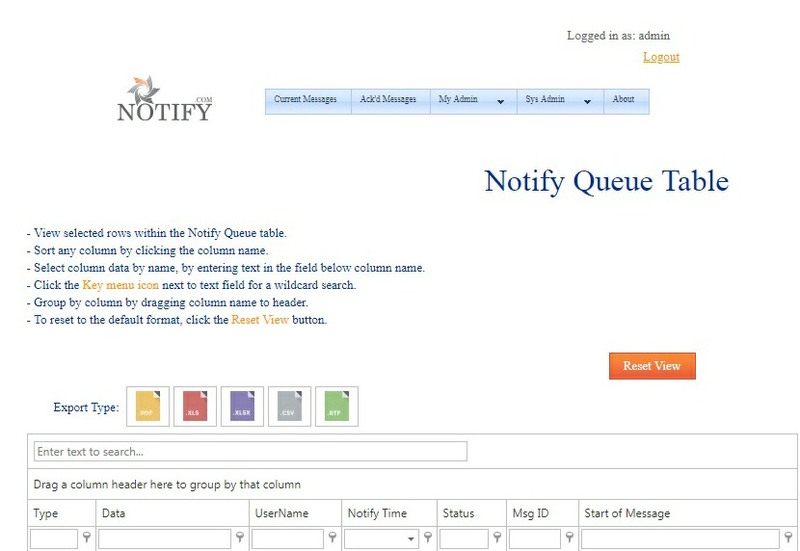 Drag the from column to the top of the Data Mining Grid. 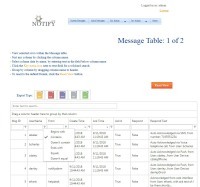 All of efrank's messages are grouped by Message source. 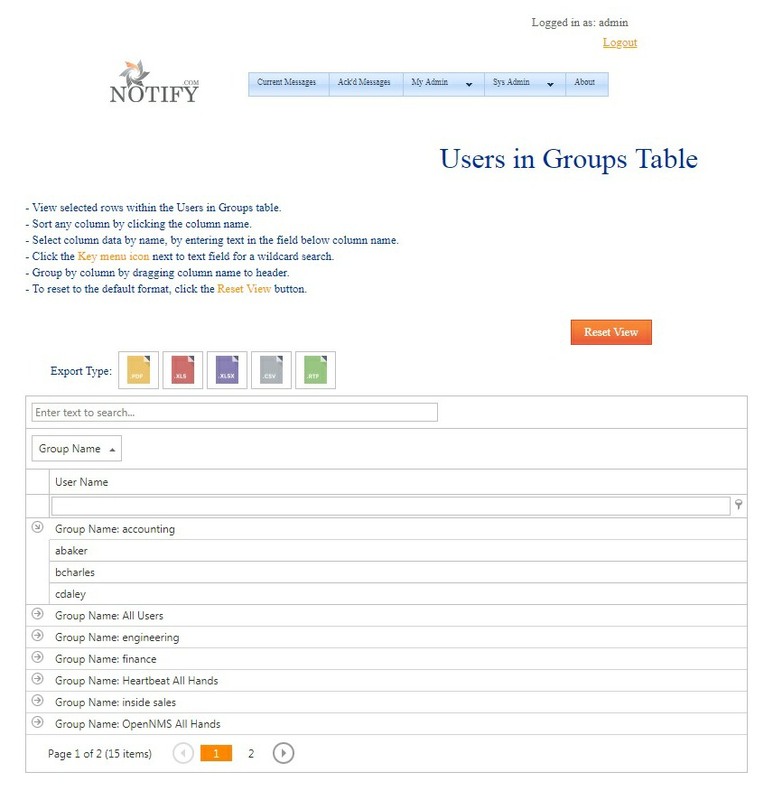 Scenario: Create a list of the UserNames assigned to every Group in Notify.com. 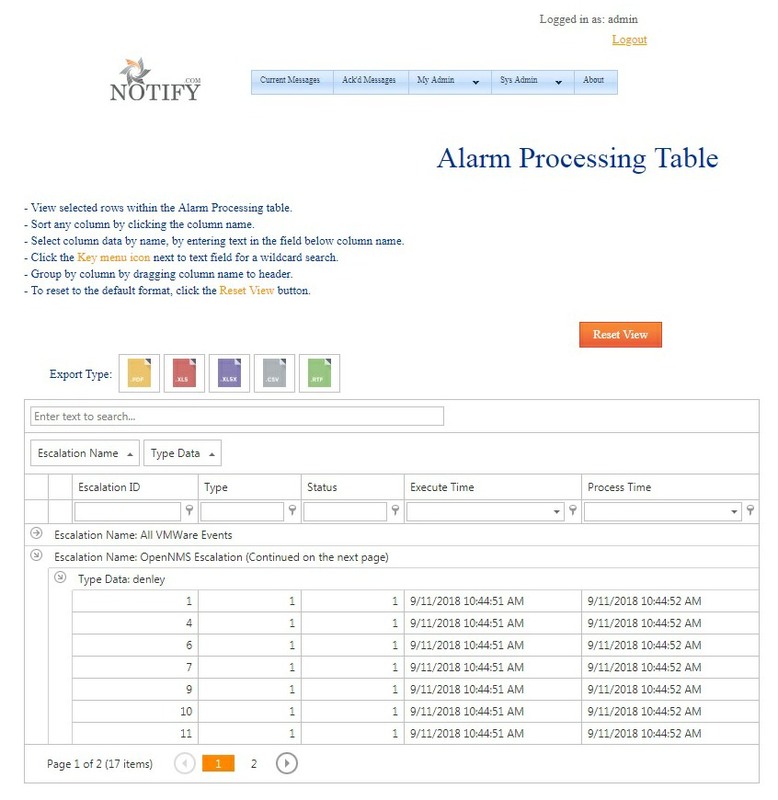 Output the list to an Excel spreadsheet, in .XLS format. 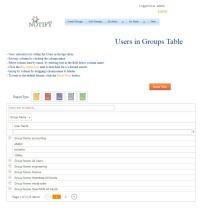 Select the Users in Groups table. 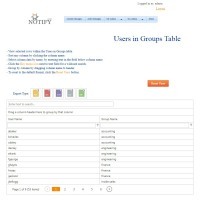 Drag the Group Name column to the top of the Data Mining Grid. 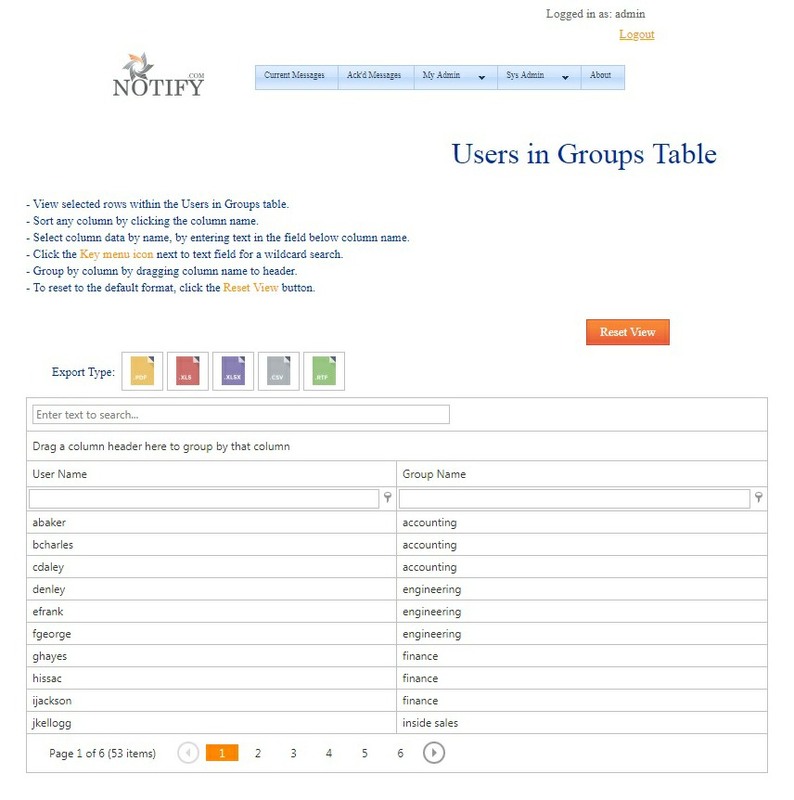 Click the .XLS icon to export the listing of UserNames assigned to Groups, to an Excel spreadsheet. Scenario: Create a list of Escalation activations. 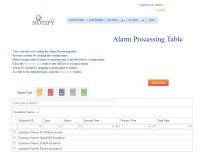 Further categorize the list by breaking down each Escalation by Username, Group or Subscription. 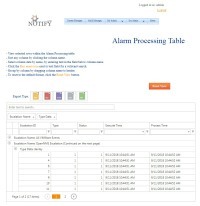 Select the Alarm Processing table. 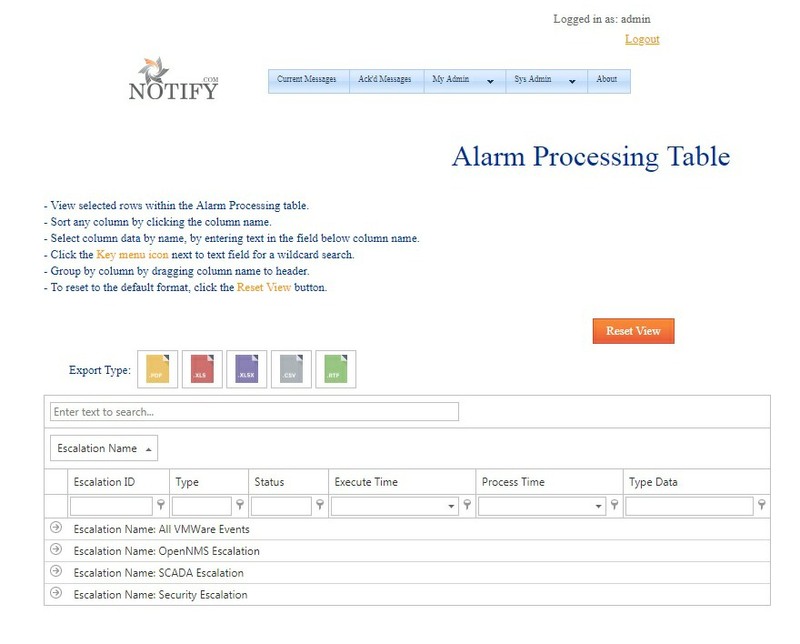 Drag the Escalation Name column to the top of the Data Mining Grid. 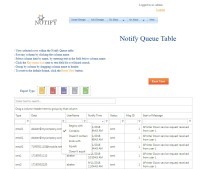 Drag the Type Data column to the top of the Data Mining Grid.